From the Hilton Brothers, Local 16 sort of helped kickstart the transformation of the U Street Corridor to full-blown yuppie-dom when it opened in fall 2002 at 16th (hence the name, though it actually really borders New Hampshire Ave., not 16th Street) and U. Even a decade later, this dimly-lit (my photos are worse than the terrible quality they usually are) scarlet-hued spot still packs the crowds and you’ll often find a fast-moving line out front to get in on Saturday nights. The folks who frequent this spot skew a bit younger and certainly preppier than the other Hilton Brothers spots I’ve been to ((18th Street Lounge, Marvin, The Brixton). 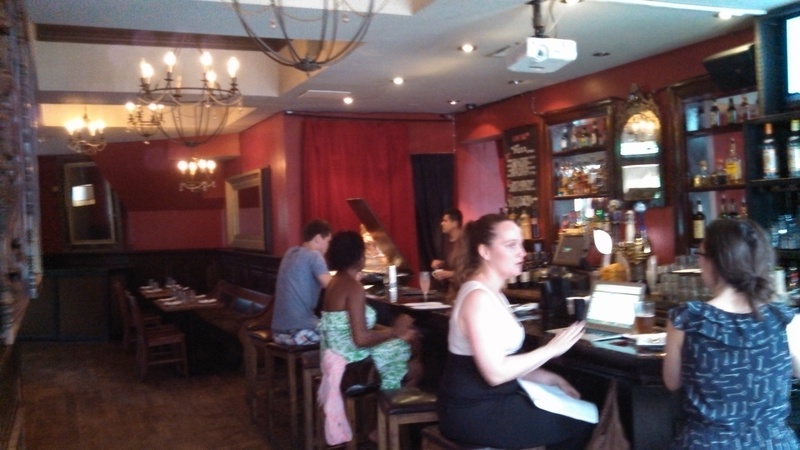 Local 16, like 18th Street Lounge, has several rooms, spaces, and stairs and feels sort of like someone’s mansion. On the first floor-to the right of the entrance-are two rooms, the first of which contains a bar (beer selection is usually better here than the rest of the spot) and the other with ample loungey seating. These areas are usually the least crowded in the bar. Upstairs up a long double staircase is the rest of the bar. To the right upstairs is the dark, dance floor that gives Local 16 its meat market reputation. Usually you’ll find lots of folks dancing in here to the loud music. There’s a small bar in this space; you can choose from the standard boring Heineken/Amstel/Miller bottled fare but not much else. To the left of the stairs is easily the best feature Local 16: the huge partially covered rooftop that overlooks U Street. 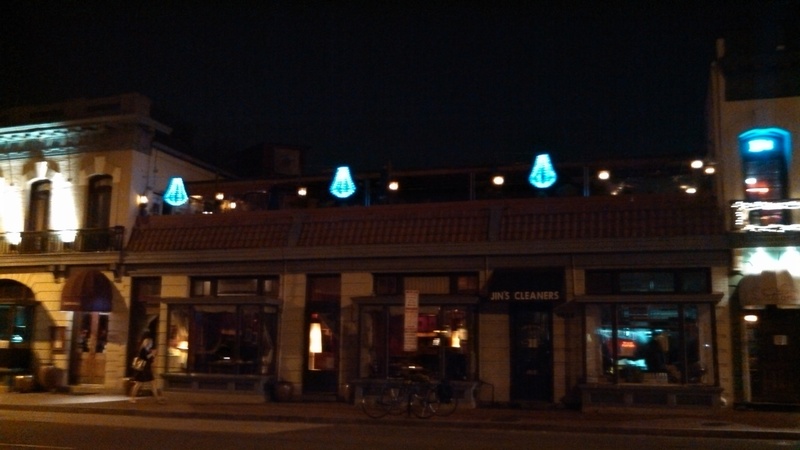 Packed in nice weather, the roof is basically partitioned in two; the side closest to the bar is usually much more crowded. One nice touch is that there is bench seating along the fence on U Street which means you usually can grab a seat if you want (not that many folks do). Again, nothing special with drinks and beers (you’ll pay $7 for a beer and a rail drink here), but the roof is a nice place to catch up in a more relaxed and better lit atmosphere than the rest of the place. One large downside of the rooftop is that (likely owing to a settlement/voluntary agreement) it closes at 1 AM so you can stay out all night drinking al fresco. Aside from the roof, taking the back set of stairs that take you back to the 1st floor bar (Full House style) is always strangely cool. 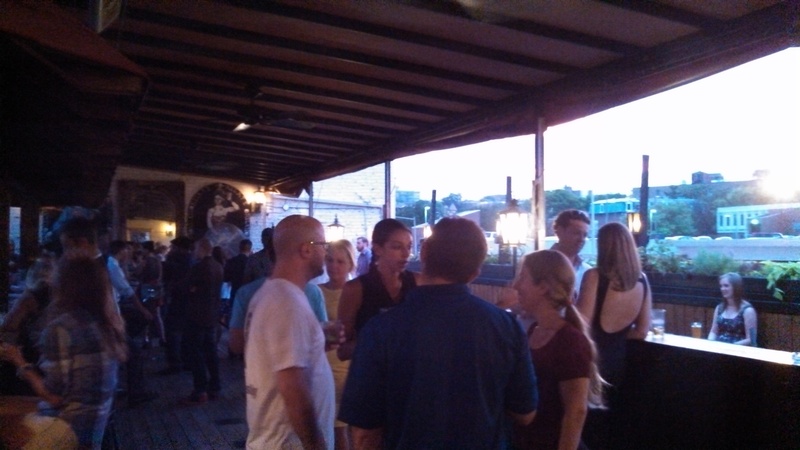 7/27/13 Update: Local 16 has a great happy hour Monday-Friday. Not only are nearly all items $5 (including specialty cocktails and 8″ pizzas), it goes (from 5p) to 8p, which is a rarity in DC. 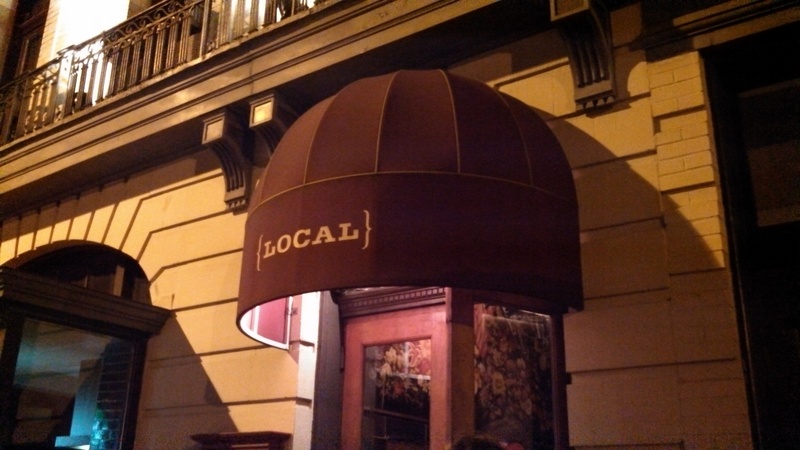 Although it definitely has a meat market loungey/sorta-clubby vibe and skews a bit younger than most spots on U Street, Local 16 is a fun place to stop by every once in a while that still feels grown-up compared to most bars in Dupont/Adams Morgan on a weekend night.